Withdrawn • Rep. Oda to rework bill, which would allow concealed firearms to be carried without a permit. 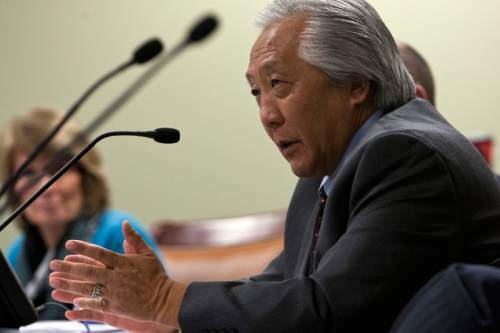 Chris Detrick | Tribune file photo Rep. Curtis Oda, R-Clearfield, has introduced a Utah bill that would ban most types of abortion that take place in the first trimester. Scott Sommerdorf | Tribune file photo Rep. Curt Oda, R, Clearfield, says the NSA center in Utah is costing the state a lot of money because of the massive spike in cyber attacks. He says the federal government "needs to pony up" to help cover the extra expenses. 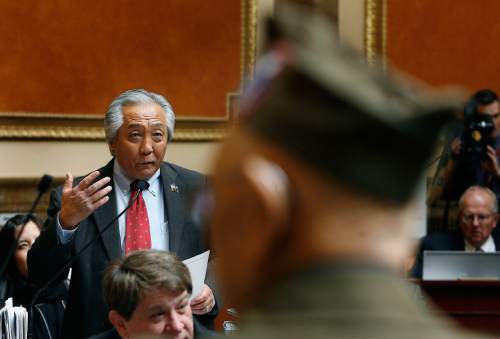 Scott Sommerdorf | The Salt Lake Tribune Rep. Curt Oda, R, Clearfield reads the text of HCR5 honoring Nisei veterans of the 100th Infanty Battalion and the 442nd Regimental Combat Team in the Utah House of Representatives, Monday February 13, 2012. The Utah Legislature won&apos;t debate a proposal to let anyone older than 21 carry a concealed firearm without a permit, the bill&apos;s sponsor said Tuesday. 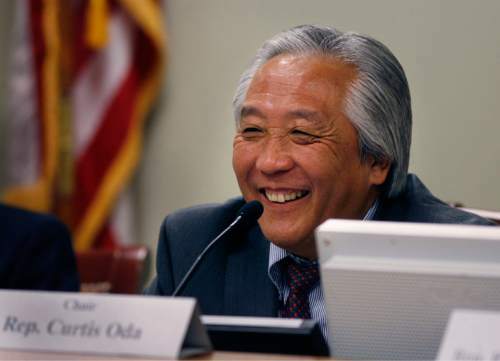 Rep. Curt Oda, R-Clearfield, said he struck a deal with Gov. Gary Herbert on Tuesday to withdraw his "Constitutional Carry" legislation  which was identical to a bill Herbert vetoed two years ago  and work to address the governor&apos;s concerns over the next several months. "The thing is, why expend the effort if he&apos;s just going to veto it?" Oda asked. "And at this point there&apos;s no way to know if we&apos;re going to have the votes for an override, so I think the general conclusion is, let&apos;s try to work it out." The agreement avoids a potential showdown between the Republican governor and the conservative Legislature over the gun issue, at least for this session. Oda&apos;s bill, HB260, would allow anyone over the age of 21 to carry a concealed weapon without a concealed-carry permit as long as the gun isn&apos;t technically loaded  meaning there is not a bullet in the chamber ready to fire. Herbert, a gun owner and concealed-carry permit holder, vetoed a nearly identical bill in 2013, arguing that the state&apos;s current concealed-weapons-permit program prevents people convicted of crimes from carrying concealed firearms and benefits public safety. Herbert&apos;s spokesman, Marty Carpenter, said the governor continues to have the same concerns today that he had with the bill two years ago. "[The governor] is happy to work with [Oda] on gun-related bills, but this was the same one that he already vetoed," Carpenter said. "Nothing from the governor&apos;s perspective has changed since then, so we let Rep. Oda know that. But we encouraged him to work with [whomever] he needed to" to resolve the issues and bring the bill back next year. Currently, individuals can carry a weapon openly in Utah as long as there is no bullet in the chamber. But they cannot conceal the weapon, carry it loaded, go onto school grounds or on public transportation without a concealed-weapons permit  which requires a safety course, background check and fee paid to the state. "Let&apos;s put it this way: The governor has asked for everyone to get together to talk. Let&apos;s look not only at [constitutional carry] but a couple other things," Oda said. He would not say what other issues the governor wanted addressed, but he said his concerns "are legitimate" but "kind of peripheral" to the concealed-weapons issue. Oda said pro-gun groups who supported his bill are supportive of taking a year to work out issues with the governor in hopes he will sign the bill next session. "We&apos;ve got all the stakeholders on our side, as far as the firearms community, saying, &apos;If we can come to an agreement and get something good done, even if it takes another year, let&apos;s do it,&apos; " Oda said. The governor will be up for election in 2016 and is expected to face a challenge for the Republican nomination from Overstock.com Chairman Jonathan Johnson.